Unlike commercial mulch and firewood manufacturers, tree removal companies recycle wood that has been cleared for construction, right-of-way or pipeline installations. The wood used to produce these materials would be harvested anyway, making it a green-friendly resource for families and businesses. By purchasing wholesale mulch from these companies, consumers can make a positive impact on the environment with minimal expense and effort. The wholesale mulch and firewood available from tree care companies is generally free of harmful chemicals and treatments. This distinguishes it from the commercial products available at retailers and hardware stores. In some cases, a utility company using a tree removal service can reach an agreement to distribute these organic and all-natural products to their employees or customers. By opting to recycle these materials and share them with staff and clientele, utilities can enhance their reputations among the individuals and families they serve. The mulch and chips available from your local tree care professionals can easily be incorporated into community compost sites or used in private compost heaps. The variety of wood available from these companies can provide a wide range of nutrients. Once the chips and mulch have been fully integrated into the compost, the resulting organic matter can be used around trees, in flowerbeds and throughout the garden to shield seedlings and to provide an added layer of soil and nutrition for growing plants. Firewood can be used to supplement other forms of heating. By using wood that might otherwise be wasted and that must be harvested anyway, consumers can potentially reduce the cost of heating their homes during the winter months. Public utilities can also build good will among their staff members and their customers by making these materials available at little or no cost. Companies like Interstate Tree Land Clearing Company can provide reliable tree removal services for construction firms and utilities. 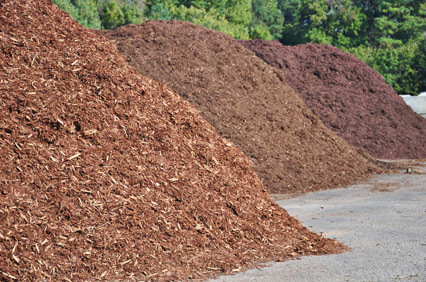 By obtaining wholesale mulch, wood chips and firewood from these green-friendly sources, consumers, public utilities and business enterprises can reduce the cost of these materials while doing the most good for the environment. 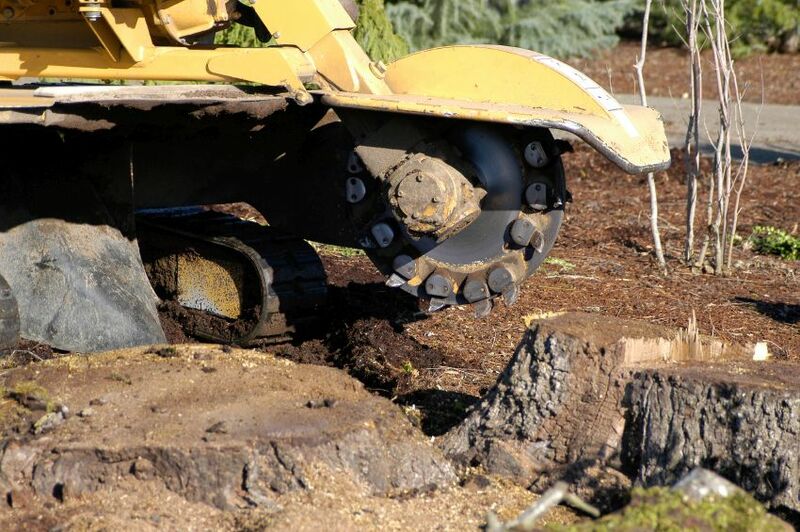 Enlisting the help of tree and stump removal experts can potentially save you time and money during the preparation process while protecting your valuable construction equipment from damage during initial clearing and grading of the property. Tree removal is a tricky job that can present significant risks to those unfamiliar with the best practices and necessary safety procedures in the industry. Specialized equipment is often needed to perform these tasks safely and to ensure the most effective removal of stumps and roots from cleared ground. Trained professionals can ensure that tree removal is performed safely and in accordance with all state and federal regulations. Outsourcing these services to a professional tree removal firm can help you avoid injuries on the job that could cost your company even more over the long run. Companies that specialize in tree and stump removal can often provide faster and more efficient service to ensure that your project can start on time. This can allow you to generate more accurate schedules for your key employees, allowing you to make the most effective and productive use of available staff time. By working with an established and experienced company, you can enjoy greater adherence to your contractual obligations and can finish your construction and utility installation projects more quickly. Rather than purchasing a wide range of stump and tree grinding and removal tools, working with an established tree clearing business can allow your company to avoid these upfront costs while ensuring the best possible results. By entrusting the initial stages of construction site preparation to these specialists, you can make the most practical use of available funds while avoiding higher overhead costs for your project. In most cases, companies that offer tree removal and stump grinding services convert the wood into mulch, which is then recycled and used in landscaping applications. By choosing a firm that engages in these green-friendly practices, you can ensure a higher degree of environmental responsibility for your construction and utility maintenance operations. 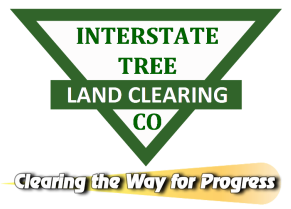 Specialty firms like Interstate Tree Land Clearing Company can provide the best and fastest service for your utility right of way or construction site. 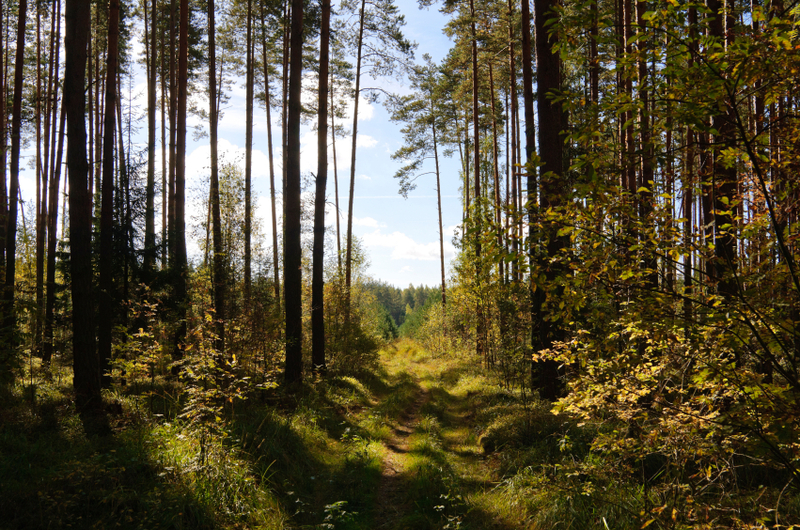 By entrusting your land clearing needs to these experienced professionals, you can save money and reduce risks for your company and your employees during these necessary tasks. Pipeline and cable installation sites require special preparation to ensure that utilities and other companies can perform their duties quickly and effectively. Tree removal is one of the most essential elements of the preparation process and requires expert knowledge not only in cutting down this vegetation but also in removing stumps from the area. The friendly and knowledgeable experts at Interstate Tree Land Clearing Company can provide added help for construction firms and utility companies in preparing for installation of pipes, cables and other conduits. Here are four key points to consider when planning pipeline installations and clearing brush from public right-of-way areas. Enlisting the help of a firm that specializes in tree removal can streamline the ground preparation process. Especially for larger trees or uneven terrain, working with professionals is essential to ensure the fastest possible completion and the safety of workers on your project. In some cases, it may be necessary to make several passes to remove brush and excess vegetation before or after cutting trees out of the way. Entrusting these tasks to an established tree service company can allow you to adhere to existing deadlines and to enjoy added confidence at every step of the process. Stump removal is generally necessary before digging the trenches required for most pipeline installations. While this is not as critical when clearing right-of-way corridors, removing these unwanted obstructions may require the assistance of highly trained specialists to ensure the smoothest and most convenient environment for digging and building. By working with a professional tree removal company, public and private companies can manage their ongoing projects with greater confidence and enhanced peace of mind. Tree roots can damage pipes to necessitate added maintenance and repair. Maintaining a safe distance between pipelines and trees or shrubs can reduce these issues to promote the longevity of pipelines and cables. Establishing an ongoing contract with a professional tree firm can reduce the chance of damage to pipelines and can help keep right-of-way areas free of trees and other unwanted obstructions. Choosing a tree service company with a green-friendly approach and a commitment to recycling and reusing wood can help your company achieve the desired results while protecting the environment at the same time. Companies that mulch wood, roots and other vegetation for later use can provide a real boost for your corporate eco-friendly credentials and can help your company or agency to maintain a more positive reputation in the green community. The tree experts at Interstate Tree Land Clearing Company offer a full range of clearing and removal services for construction sites, public rights of way and pipeline installations. By working with these courteous and experienced professionals, you can enjoy the best service at the best prices for your ongoing and upcoming projects. ​Clearing away trees, brush and other overgrowth is an essential step in preparing a site for planned construction. Companies that specialize in tree removal can remove unsightly brush and unwanted vegetation to ensure that groundbreaking can proceed according to your particular schedule. These service providers use state-of-the-art equipment and specialized tools that allow them to clear away obstructions and ensure that your project goes smoothly. The process typically involves a number of steps that must be completed to provide the best possible results. Professional tree removal companies use heavy equipment to cut stumps as close as possible to the ground. Depending on the needs of your project, some trees can be left in place or trimmed to suit the parameters of your project. The trees selected for removal can be cut into manageable lengths, turned into firewood or ground into wood chips that can be used as ground cover or hauled away from the area altogether. Weeds, brush and undergrowth can also be removed and ground up for mulch or disposed of in a manner of your choosing. After trees have been cut down and the resulting debris has been cleared, the tree removal company will then address the remaining stumps on your construction site or right of way. Stump grinding equipment will be used to cut up these growths into manageable parts that can be turned into mulch or removed entirely from the right of way or building site. Depending on the size of the stump, the company may use a variety of different equipment sizes to ensure that it is removed to your precise specifications. After all large trees have been removed from the area, the tree clearing professionals will go over the construction site or right of way to remove weeds and undesirable vegetation. Depending on your preferences, the company may remove everything down to bare ground or may leave grass or a thin layer of other plants to prevent erosion. Once the area has been cleared, you can begin your construction project right away. For right-of-way clearing projects involving underground pipelines, you may wish to schedule periodic checkups to prevent trees from reclaiming these areas and damaging the pipes with their roots. By working with the professionals at Interstate Tree Land Clearing Company, you can enjoy the best possible results and the fastest service for your right-of-way or construction project. These tree clearing experts can provide you with the right site preparation solutions to suit your particular set of needs. Trees are one of the most common obstructions encountered when developing, rezoning land, and building new buildings to facilitate business. Not all trees need to be removed, so the choice to remove them has to be carefully weighed. When commercial development is involved, most trees should be removed for the future owners of a property. Trees can grow into hazards that can cost foundation issues, pavement cracking, roof damage, facilitate birds and their messes on customer cars, and a plethora of unseemly problems that are best avoided by clearing the land completely. When is Total Land Clearing Appropriate? While buildings, pavement and utilities can be constructed around existing trees, doing so may be costly and inefficient at the time of construction. Trees may require excessive pruning when adjacent to buildings. They may require special landscaping that accommodates for the maximum circumference that the tree will grow. They may even require that you erect special concrete barriers to ensure that the roots do not invade things like underground water pipelines and electrical conduits. Even when trees aren't an immediate problem, they soon could be. Even the common pecan tree can grow to be 100 feet or more in height and 80 or more feet in width. The roots can spread just as deep and as wide as the tree, which means that it could harm pavement and underground utilities during dry seasons just as the heavy branches can fall on cars, roofs and even customers. It is in these situations that complete tree clearing is often the best practice. These less-than-apparent dangers warrant land clearing to ensure that trees cannot pose a potential problem in the present or in the future. One of the most persuasive arguments to keep trees concerns the natural functions of trees. These functions, while important in some cases, do not outweigh the dangers that trees can possess as they age. While it is true that they do convert a large amount of carbon dioxide into oxygen, so do other green plants like grass and flowers. The removal of one tree can be corrected with an adequate amount of grass and other green foliage, which in turn poses a considerably smaller threat to customers and businesses. Shade is another benefit of trees that is often used as a reason to dissuade against tree clearing. The problem with this is that the same branches that can provide shade will eventually fall as the tree sheds them, which can create hazards to any individuals and property in the nearby area. The same energy-efficiency that trees can provide to property can be supplemented by the inclusion of better insulation, more airtight construction and other weatherization features at the time of building. These same features and the lack of the dangers trees can possess can make properties far more appealing. The last major function of trees is to prevent soil erosion. The threat of soil erosion should be minimal in a commercial environment due to the prevalence of paved areas. Soil erosion can further be prevented by the use of retaining walls for sloped areas and the use of green foliage like grass. Trees – Danger or Benefit? While trees can provide a unique aesthetic appeal, the numerous dangers they can also provide make them too risky for commercial environments. Tree removal is easiest and cheapest to conduct before buildings and utility lines are erected, which means that tree removal during construction is the best choice to prevent costly problems for property owners later. Tree removal is an involved process that requires more than a tree to simply be removed. Multiple considerations must be taken before a tree can be removed, which includes everything from stump grinding to ensuring that the proper insurance is in place to protect you if an accident occurs during the removal process. Even more thought must be taken when multiple trees have to be cleared for things like right of way clearing or for clearing in an area that is about to be developed. Their roots tend to keep the soil locked in place, which prevents sudden downpours from eroding the soil and therefore prevents some foundation issues. The functionality that a single tree provides then needs to be accounted for when determining how viable it is to remove a tree. These factors only compound themselves as multiple trees must be removed for a site's development. • Potential tree removal must first be cleared with the local and regional government. There may be certain regulations protecting certain types of trees or trees of a certain age. • The difficulty of removing trees must be evaluated. This is a particularly important issue when removing trees in compact areas where structures may be nearby, as special procedures must be taken for certain types of trees to prevent damage from occurring and to reduce danger. • Soil composition must be taken into account. If the soil is loose, then there is a high chance that it could wash away after a tree is removed. This can cause shifts in the ground, which in turn may be problematic for nearby structures. • Stump removal and soil replacement must also be taken into account. These two factors can minimize the impact that removing a tree has on the surrounding environment. • Timber removal needs to be planned. There are a variety of options available that can make removing trees more environmentally sound and viable. • Insurance and other precautions for accidents that might occur during removal must also be taken. This will protect both you and the company you use to remove your trees. Understand that removing trees is a complicated process. This allows you to take into account the numerous considerations that must be made when clearing land of multiple trees regardless of if they are in large clearings, by the road, or in small areas besides other buildings. A tree removal company like Interstate Tree Land Clearing Company must handle safety, cost-efficiency, and the ultimate well-being of the area after the trees are removed. They are our chief concern when we remove trees commercially. Only when all these factors are taken into account and planned for is it possible to remove the trees our clients need. Interstate Tree is a proud owner of the Bandit Beast 3680 Recycler. Our Beast is capable of converting unwanted waste product into a valuable product such as shredded bark mulch, ground mulch, or wood chips. The Beast is able to process a large amount of materials at a low cost and producing a consistently uniform product of varying size and consistency including shredded, ground, or chipped materials that bring top dollar. The Beast Recycler has been the most popular waste reduction unit and greatly exceeds other grinders in its class and even with its intense size, it is extremely portable to reach close to any job. Its 700 horsepower has the ability to output 226' units per minute or up to 624' units per minute. No job is too big or too small for our Beast! To view operation of the Beast 3680 Recycler, watch this video on YouTube. Call Interstate Tree today at 262-968-4090, or contact us, to allow us to "Unleash the Beast" onto your job. Copyright 2014 © Interstate Tree Land Clearing Co.